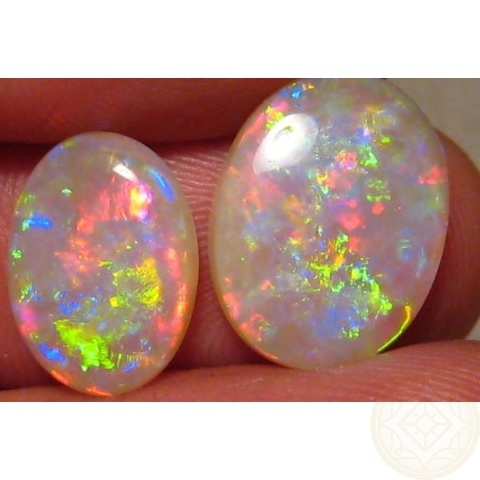 Two Oval Crystal Opals with a very unique and bright color mix. 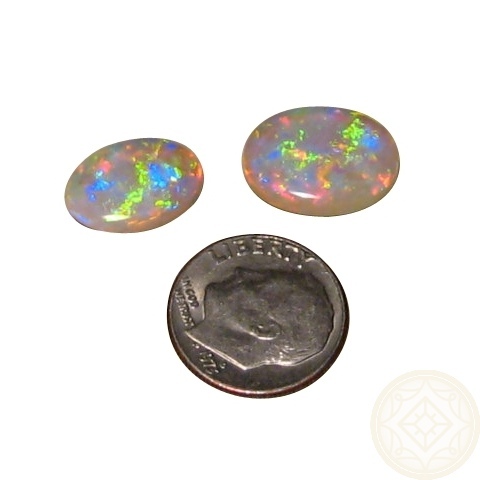 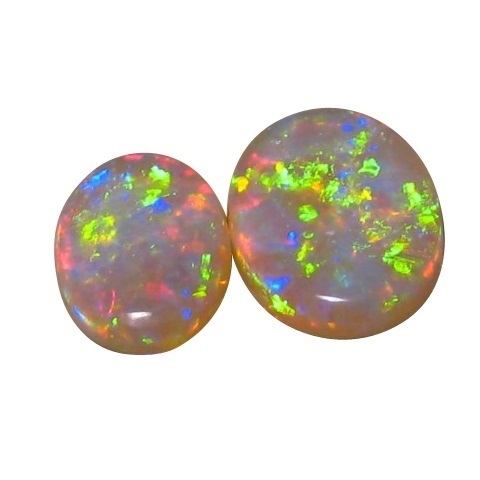 This pair of Opal stones are matching in everything but the size although they are each a very good size. 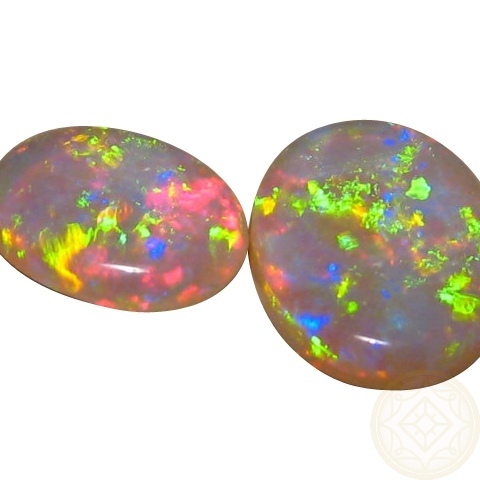 The colors are a vibrant mix of Red, Pink, Purple and Green - very unique for opals - and they are extremely bright in a Harlequin pattern. 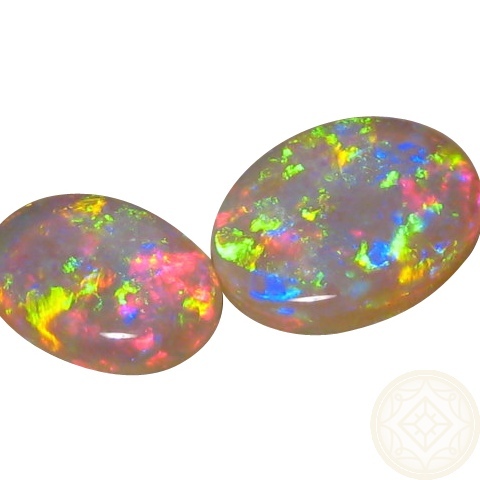 As the sizes are not exactly the same, they can be set into a Pendant and Ring or for something very special, a 'his and hers' opal ring set to celebrate a wedding anniversary or just because. 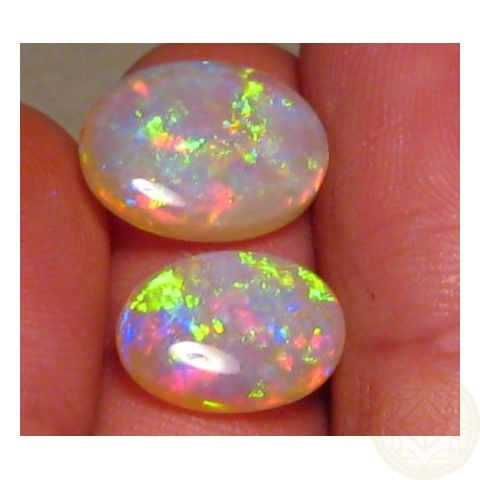 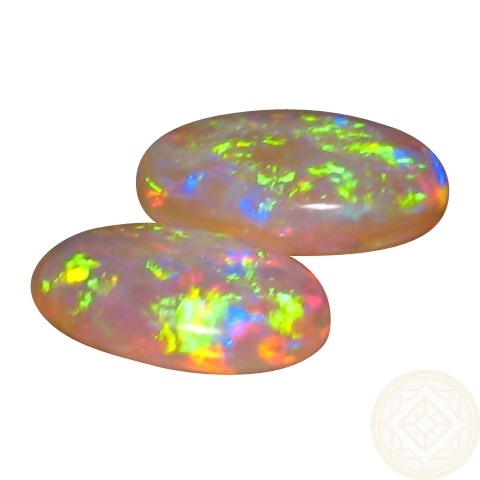 These two beautiful Coober Pedy Opals will be shipped at least 2 business days after purchase.